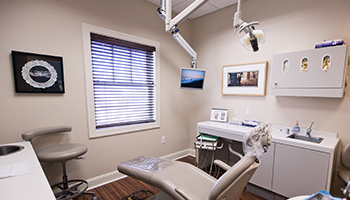 Richview Family Dentistry follows all HIPAA regulations. More information on HIPAA is available at the HIPAA website. If you have specific questions, please call our front office at 931-647-2243. Collected form data is not made public. Form data is protected and accessed by Richview Family Dentistry employees and our Service Providers (please see “Service Providers”). 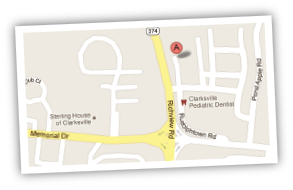 Richview Family Dentistry uses a web analytics service offered by Google that tracks and reports website traffic. Google uses the data collected to track and monitor the use of our website. This data is shared with other Google services. Google may use the collected data to contextualize and personalize the ads of its own advertising network. Richview Family Dentistry may use an online advertising service developed by Google, through which we may pay to display brief advertisements, service offerings, product listings, and video content within the Google ad network to web users. Google Adwords uses conversion tracking to help us see when ads lead to conversions from various sources. For example, Google Adwords makes it possible to track when a visitor completes an action on our website. This could be, clicking a link, or any other valuable action. A note here for those in the European Union about our legal grounds for processing information about you under EU data protection laws, which is that our use of your information is based on the grounds that: We have a legitimate interest in using your information to provide and update our website, to improve our website so that we can offer you an even better user experience, to safeguard our website, to communicate with you, to measure, gauge, and improve the effectiveness of our advertising, and better understand user retention and attrition, to monitor and prevent any problems with our website; or you have given us your consent– upon accessing this website you received a notification that we place certain cookies on your device and access and analyze them later on, as described in our Tracking & Cookies section. Limit the Information that You Provide: you may choose to not use form available on the Contact page of our website. You may instead choose to call (931) 647-2243. If you are experiencing a medical emergency call 911. September 4, 2018: drafted policy.